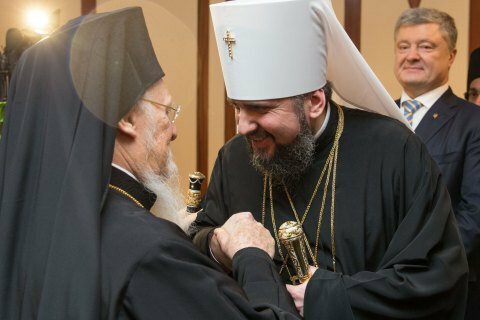 The official transfer of the document to the Ukrainian primate will be held tomorrow. Ecumenical Patriarch Bartholomew has signed the Tomos for the Ukrainian Church in the Patriarch's St George Cathedral in Istanbul, according to UNN. The signing ceremony was preceded by a prayer in the cathedral. The document is expected to be handed to Ukrainian Church Primate Epifaniy at 8.30 a.m. on 6 January. A festive Christmas prayer will follow. Apart from Epifaniy, the Ukrainian delegation to Istanbul includes President Petro Poroshenko and parliament speaker Andriy Parubiy.